What do all the little numbers mean? Are there any shortcuts to getting material through a sieve? How do I extend the life of my sieves? As potters we make objects in clay, we take care to dry our work evenly and bisque fire it at a pace that has the pieces emerging from the kiln in one piece ready for glazing. One area where all that hard work and careful attention can be ruined is during the simple process of sieving ones glaze. Truth be known there are multiple areas where it can go wrong however the focus of this post is “THE SIEVING” of our glaze so let’s give this poor cousin to the plethora of ceramic processes centre stage for once. One sieves a glaze for several reasons. To create a homogenous mass, a glaze slop where everything is well mixed and uniformly distributed. 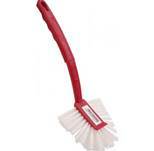 To remove any oversize particles that may be present in the raw materials that may scar the glaze in some way. Most of the glaze materials are 200# or finer so one doesn’t have to seive. I would suggest that the points outlined under “Why would I” provide a few good answers to this question. If you are after a more random effect with your glaze surface then don’t sieve. One could also use a mixer of some sort to blend the glaze into a homogeneous mass however the hard lumps of oversize won’t break down. 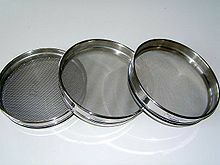 Sieve mesh is available in a large range of sizes. 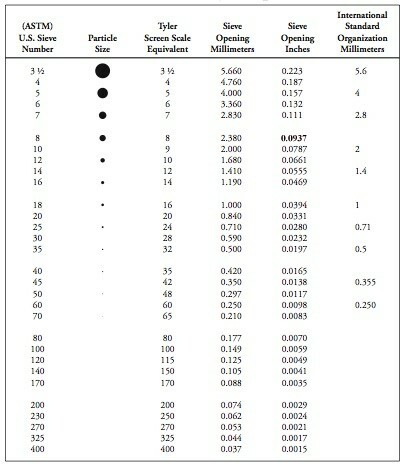 The bigger the number the finer the sieve, the smaller the number the coarser the sieve. One might use a 4 or 8 mesh sieve to remove the large rocks from a slurry of a clay one is digging. The reverse might be a fine stoneware glaze where one might use a 120 or even 150# sieve to make sure any oversize particles are removed and all the colouring oxide is thoroughly broken down and distributed. Iron spots can be very attractive on the right piece but may be unwanted on a blue celadon over porcelain. 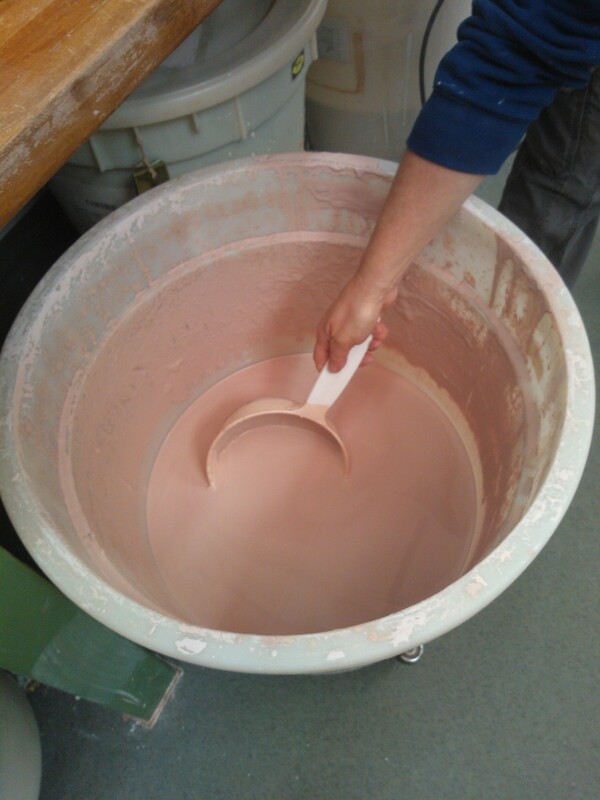 For the majority of glazes an 80# is sufficient and a good all round sieve for the workshop. At Northern Beaches Ceramics we pass most casting slips and glazes through an 80#. Sieves can be purchased ready to go from a ceramic supplier or one can buy the mesh and make ones own. There is a clear description of this process in “Handbook for Australian Potters” by Deboos, Harrison, Smith. The book is out of print but still available in many TAFE libraries. The more water one adds to the glaze the more easily it will pass through the sieve. Add more than you need and once the glaze has settled then decant any excess. A personal favourite. Don’t do this if the glaze contains something soluble in the recipe such as soda ash or common salt. Add the powder to the water and allow it to slake for a while, this will minimize lumps and make the process so much more pleasant. Sieve the glaze wet, dry sieving is madness and really dangerous from an OH&S perspective. Use a soft bristle brush to coax the glaze through. Washing up brushes are great. A stickler for correct sieve protocol would frown on using anything to coax a material through the sieve however personally I find that gentle agitation with a brush has little impact on the sieve. Do not use a spoon, knife or anything metal to push glaze through a sieve, you will destroy the sieve. Use a vibrating sieve. These electric devices are fantastic. 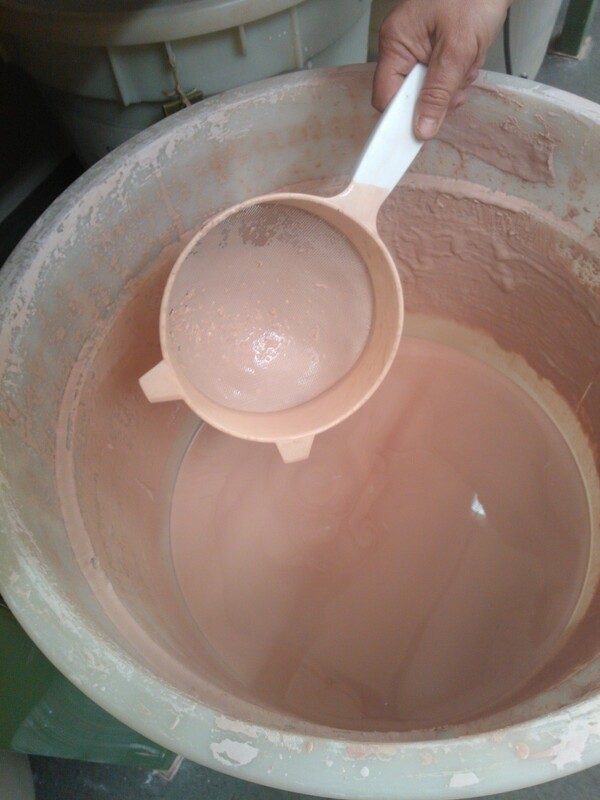 Do not use a spoon, knife or anything metal to push glaze through a sieve, you will cut or destroy the sieve. In a college environment glazes and slips are open to all sorts of contamination from a range of sources. The little bits that fall out of the holes of bisque teapots as they are submerged in the glaze are a personal favourite of mine. Why do they find a home slap bang in the middle of a 30cm dinner plate? Then there are the bisque shards of broken pots that inevitably make their way into a glaze when a bowl is crushed by a set of tightly gripped glaze tongs……….Sigh! We have all done it at some stage. Slipcast cups spring to mind. My favourite sieving tip involves stirring the glaze with a paint stirrer mounted on a drill and taking a standard kitchen sieve. I swirl it around in the bucket to pick out any lurking shards. I do this a few times, observing what the sieve picks up tells me if the glaze needs more blending to remove any lumps, it also picks out those pesky bisque leftovers from previous glazers. So there we have it “To sieve or not to sieve”. I think I have used the word “sieve” enough for one day. Thanks Chris, very informative and I think I know what we will ALL be doing in the glaze rooms from now on! Thanks Chris, such a helpful post! The small sieves at Tafe… were they made from plastic pipes (like plumbing pipes) and mesh? And if so what kind of adhesive was used to stick them together? Yes they were made from plumbers pipe. I think that they utilize the blu glue that plumbers stick the pipes together with to bond the mesh on. One can also use a soldering iron and aluminium foil in a well ventilated area to stick the mesh to the pipe. I will explain this when I see you.